Get Access To 5 New Frameworks Which Allow You To Make Sales Copy For Sales Letters, Lead Capture Pages, Facebook Ads, Make Eye-Grabbing Headlines, And Generate High Impact Bullet Points. 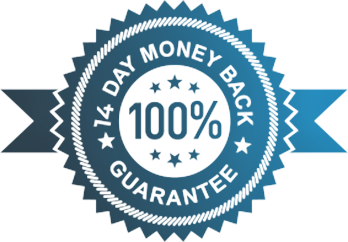 How would you like to get access to PRO upgrade which enables you to go beyond sales scripts? 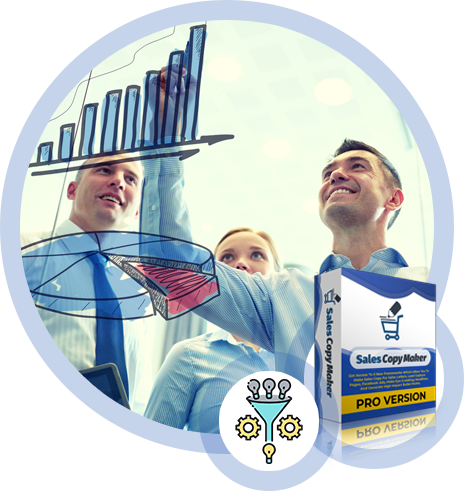 PRO upgrade gives you access to 6 new frameworks which allow you to make sales copy for sales letters, lead capture pages, facebook ads, make eye-grabbing headlines, generate high impact bullet points, and make webinar registration pages. The combination of sales letters and sales videos is the most powerful combination to inflict buying frenzy upon unsuspected web page visitors so they would draw their wallets faster than a sharpshooter draws a gun. The “hall of fame” copywriters used sales letters by themselves to sell massive amounts of almost anything using direct mail for decades. While it all started from printed direct mail sales letters back in the day, now it turned to online sales letters. 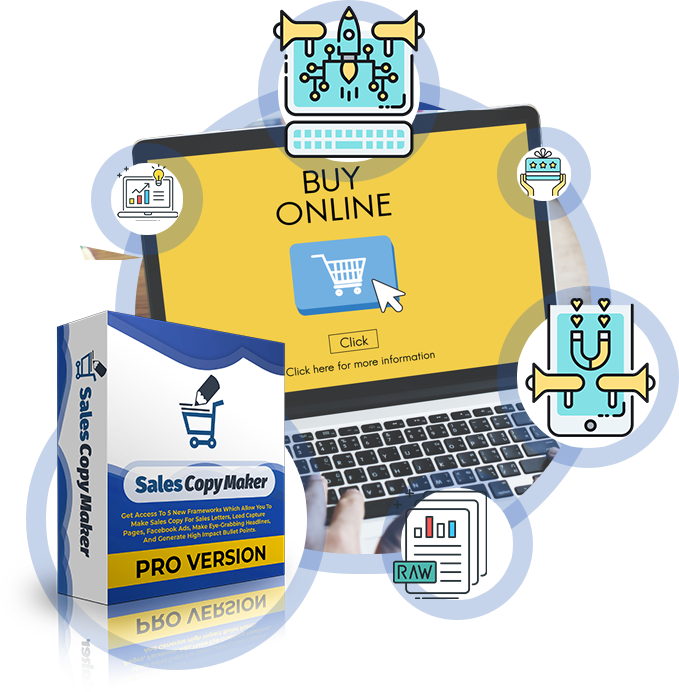 The fundamental principles of copywriting stayed the same throughout, and those are the very foundation on which SocialCopyMaker PRO sales letters framework is built upon. While today people prefer sales video, most people, before making purchase decision, also read, or at least scan, a sales letter, after they finished watching a video. Sales letters are so powerful that they can be used even without video. In fact, in wide range of market niches, very often products are sold with just a sales letter. 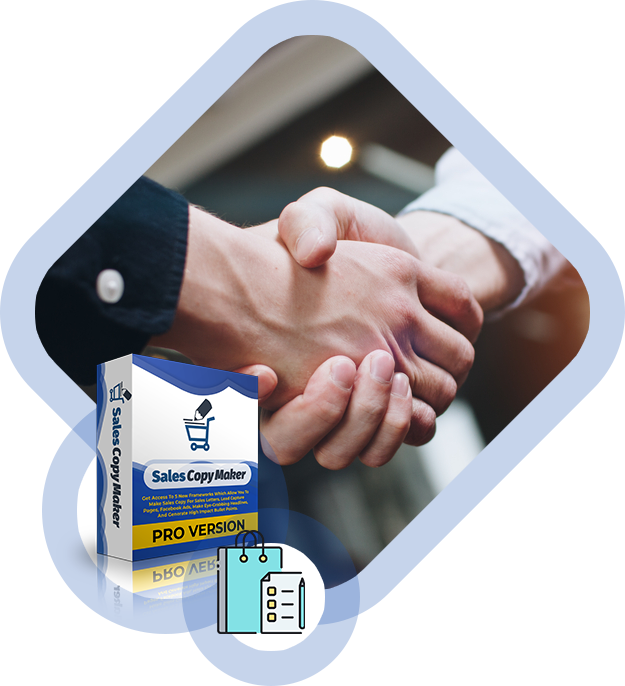 SalesCopyMaker PRO allows you to generate powerful and effective sales letters which convert prospects to buyers in no time. 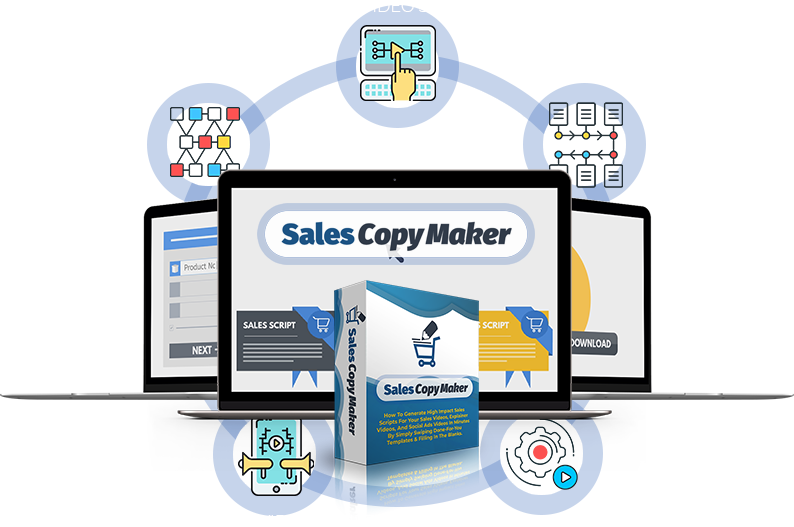 You just need to chose sales letters framework, fill in the blanks with the same info as you would for sales video script, and then generate your sales letter copy with one click. Sales Letters framework is based on the same psychological fundamental copywriting principles which the all-time-best-selling sales letters were using. 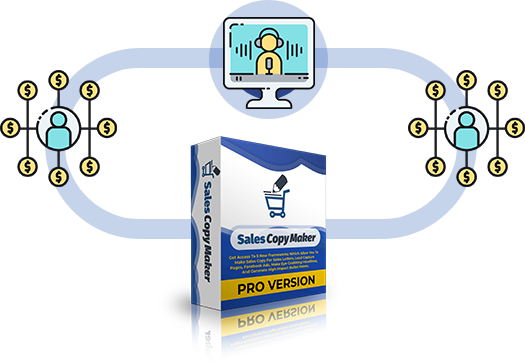 It doesn’t matter what your business is selling with sales letters generated by SalesCopyMaker PRO.  It works for any services, digital, and physical products. 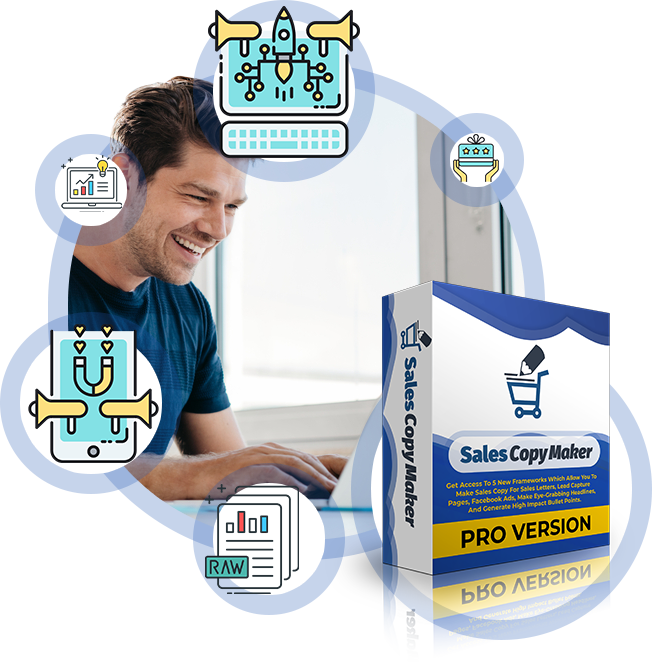 With SalesCopyMaker PRO you no longer need to worry about what to say in a sales letter, what come next, what call to action should be, and all the other things a sales letter must have to be effective and compelling. To make a sales letter work great you also need to have attention grabbing headline. The number one initial goal of your sales page is to instantly hook visitors so they will watch your video and check a sales page. This is where Headline framework comes in. It is proven that a great headline can boost page conversion significantly and weak headline can hurt sales badly. Headline framework has everything you need to come up with headlines that hook readers, get them glued to your sales page, and get them eager to buy. If you’ve ever struggled with a headline, then you simply need to see the power and elegance of the headlines framework... and get excited, because you’re no longer going to stress over writing a headline again. There is one very important part of sales pages which could be easily overlooked, but is crucial for sales conversion, especially on sales pages with video on them. Majority of people after watching a sales video just scan the sales page and many of them scroll right to the bullet points on a sales page. If you do not have bullets points or even worse, they are badly written, it may hurt your sales. This is why we have created bullet point framework so you can create outstanding bullet points which can remove final doubts to close the sale. 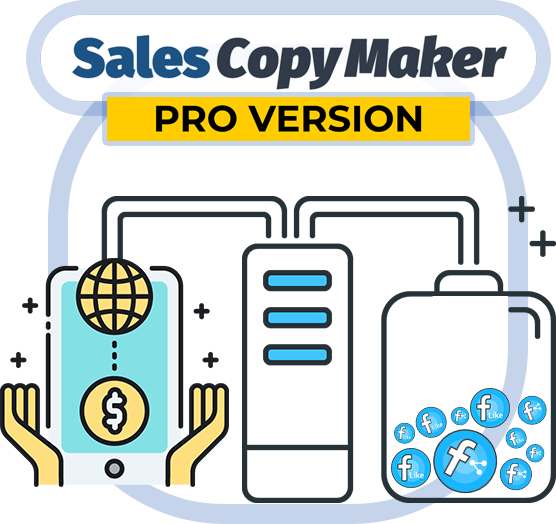 So now that you already have info about SaleCopyMaker PRO frameworks which can skyrocket your sales, let me ask you a question. Do you use opt-in pages to capture leads? If the answer is yes, you are in for a treat. PRO version includes amazing lead capture page framework, which allows you to create pages sucking visitors email right into the top of your sales funnel and into your subscription list. It means that you can squeeze much more leads from the same number of visitors which in turn can generate your more sales. 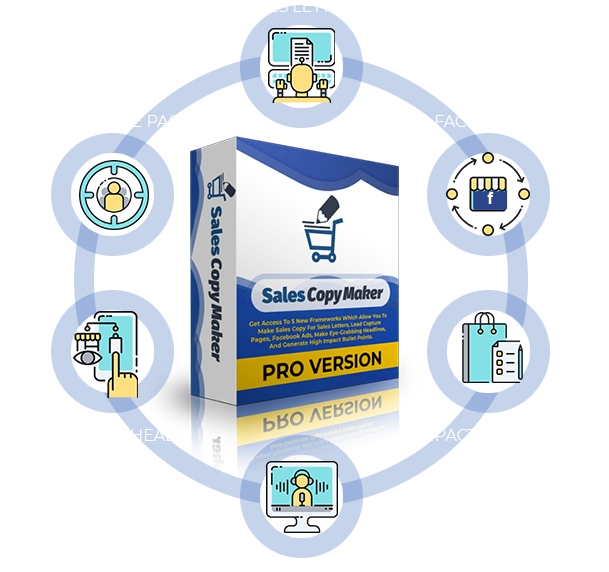 SaleCopyMaker PRO also gives you Facebook Ads frameworks. You already have Social Ads framework for generating video ad scripts, but for the best results on facebook you want to also have ad copy to squeeze maximum you can from your ads spent. Tap into the most successful Facebook ads and have your own generated to sell whatever you want! If you’ve been unsuccessful with Facebook ads, or if you’ve been afraid to try them, this can be a game changer for you. Webinar Registration Framework is designed to boost number of webinar registrations which translates into more live attendees which can bring more sales. Early Adopter Limited Time Price!